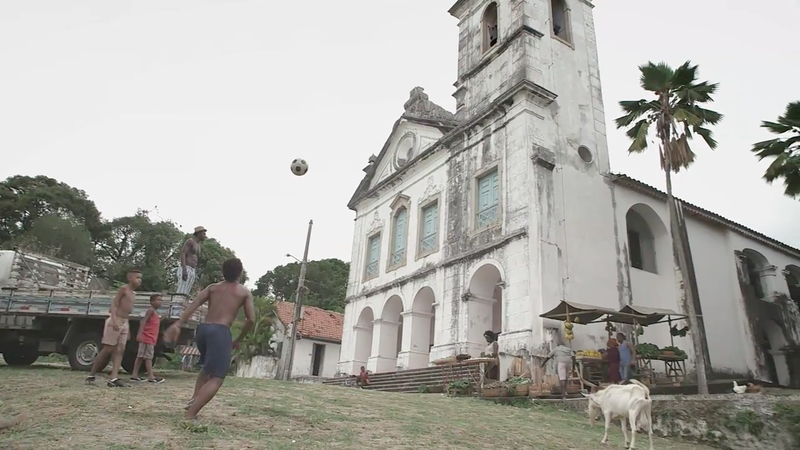 For every big-budget advertising opus timed to the World Cup (I'm looking at you, Nike and Samsung), there are always a few real gems that don't show any soccer stars at all. McDonald's and DDB Chicago bring us a case in point with "Gol!," the chain's two-minute celebration of trick shots, fancy footwork and surprising skill. Created largely to drive traffic to the brand's augmented reality game built around specially redesigned fries packaging, the ad itself is a charming display of largely unknown talent drawn from around the world. While many YouTube commenters are quick to dismiss the shots as fake, the creators assure us it's absolutely legit. "I can confirm there was no CGI used on the film," a spokesperson for DDB said. "It was definitely all trick shots by those people." A few of the more noteworthy appearances come from dextrous Argentine model Fiorella Castillo (the woman in the black dress and heels) and the multisport trick shotters from How Ridiculous. What's especially refreshing for such a product-driven brand is what you don't see: hamburgers.